I really love the tie dye cutoff shorts trend for this summer but I can't reason with buying tie dye shorts that are $50 and up. I'm also a lazy person and could not see myself tie dyeing ...anything. The whole tie dye process is so long and tiring. So when I came across the SEI Tumble Dye I knew this was the right product for me and it was going to be soooooo easy to actually pull off this whole DIY project that I've been wanting to do. What's so great about the Tumble Dye? Well first of all it's a spray bottle. Second of all you can do whatever you want with this product: spray, paint, or dip! Easy peasy lemon squeezy! I was super excited to see that on SEI's website you can buy the Tumble Dye bottles separately and that they were only $3 each for a 2 oz bottle. As soon as I found this product I ordered: Mint, Hot Pink, and Turquoise. So I spent my Sunday DIYing my own tie dye shorts. There is no better way of getting over a cold then spending some time DIYing! 1. Find an old pair of shorts or jeans that you want to DIY. Try them on and mark the areas where you want to cut them to. I wanted to go a little higher on the thigh so I ticked off two parts on the pants leg. 2. Grab your scissors and cut your shorts!! 3. 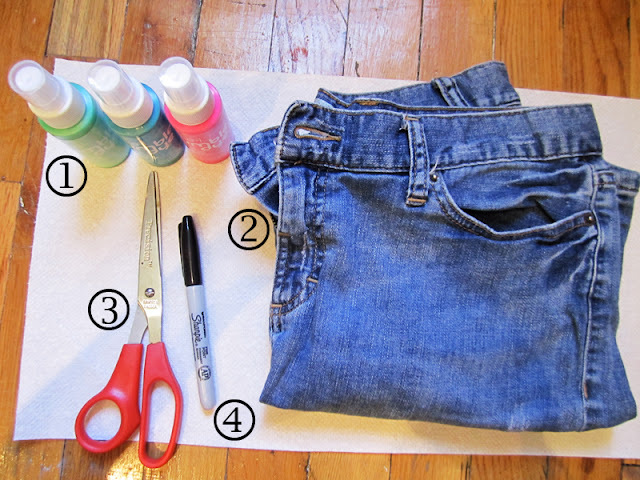 Before you start spraying directly on to your shorts take a piece of the denim material that you cut off and do some test sprays. You want to see what the colors will look like on the denim material before you start. 4. Once you got an idea what the colors will look like and know how you want to do with your shorts then you can go ahead and start spraying! I wanted to do tri-colors from bottom to top so I started from bottom up. Starting with the turquoise color then working my way up. 5. Once your finish on the front side of your pants flip it over and start one the back side! 6. Don't be afraid to go over your work and spray where it needs to be sprayed or if you wat to add more tie to your shorts. 7. Wait for your shorts to dry and then throw them into the drier for 20 minutes! 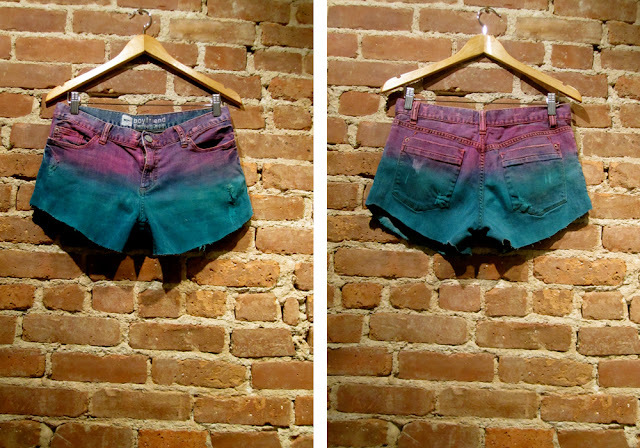 Then you have yourself some DIY Tie Dye shorts! 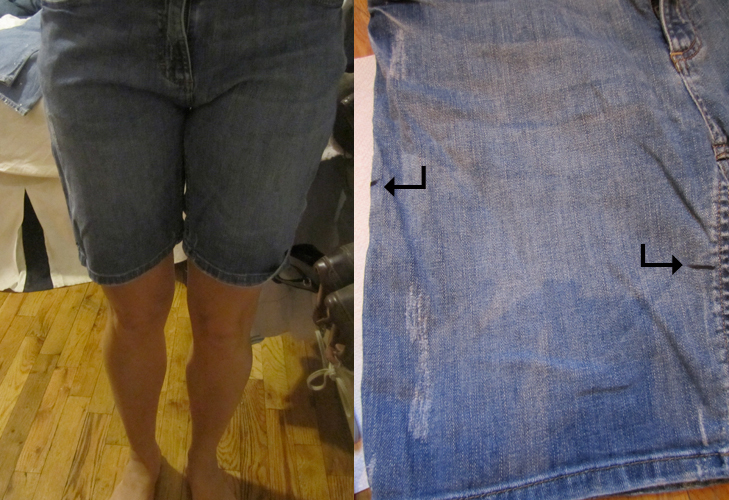 You can de-thread the hems of your shorts with a needle or a safety pin just by pulling in the threads. The more your dry them over time they will also start to de-thread. So don't worry if they aren't too destroyed just yet. If you want destroyed patches I suggest doing that BEFORE you starting dyeing. What do you think of this DIY? Gonna give it a shot? Tuesday night H&M's flagship store in New York City rolled out the red carpet on 51st and 5th avenue for their star studded event for the show FashionStar. I felt pretty darn special and almost famous walking the red carpet and dropping my name to the PR girls behind their iPads. It's not everyday that I get invited to such events where Nicole Richie is the host and a red carpet out on 5th Ave. I brought my cousin (who is also a fashion blogger: Pins, Needles, Fashion) with me to share this event. Plus we got an extra 25% off of any purchase we made so I needed a shopping partner! Shopping, drinking, mingling, and photo taken we did...maybe even a little bit of "stalking." The drinks were flowing with white wine, prosessco (which we stuck with), beer, and fancy mix drinks. Yummy little treats like the oreo with melted marshmallow were passed around. I somehow only walked out of their with a pair of white jeans that were $10 but then were knocked down to $7 with the discount. Best find I found in a while. Other then the atmosphere it was also great to meet Nicole Christie (the H&M buyer on FashionStar), meet some of the designers, and to take a look at the clothes that are being sold in store now. It's amazing the talent that is out there right now. Just lurking in the dark hidden corners and it's something amazing to see these talents being brought out in shows like FashionStar. Nicole Christie was so sweet and she looked absolutely fabulous in her lime green H&M open back dress. She also loved that I was rocking my H&M floral pencil skirt. 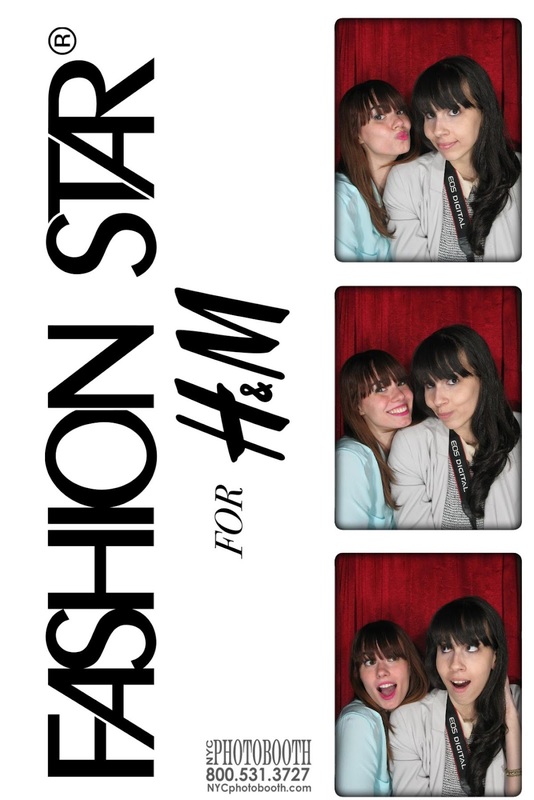 I mean how could you go to an H&M event and NOT wear H&M. Then again it was pretty easy for me to wear something from H&M since a good portion of my wardrobe is from H&M. I couldn't be more thrilled and honored to have attended this event. Seriously, since I live in H&M I couldn't have been more honored not only as a blogger but as a costumer to have been there to celebrate with them. This weekend was part 2 of Coachella and O how I wish I was there. I have definitely been feeling the vibe from last weekend and this weekend. This look was totally Coachella inspired: cut off shorts, kimono, and boots. I bought this H&M kimono on my latest H&M trip...It was one of those piece I just couldn't say no to. Especially when it was only $20. There is nothing I love more right now then colorblocking and pastels. When I saw a few of my favorite fashion bloggers -- like La Vagabond Dame and Lust for Life --- rocking pastels on pastels I knew this was a trend for me that I have to try. 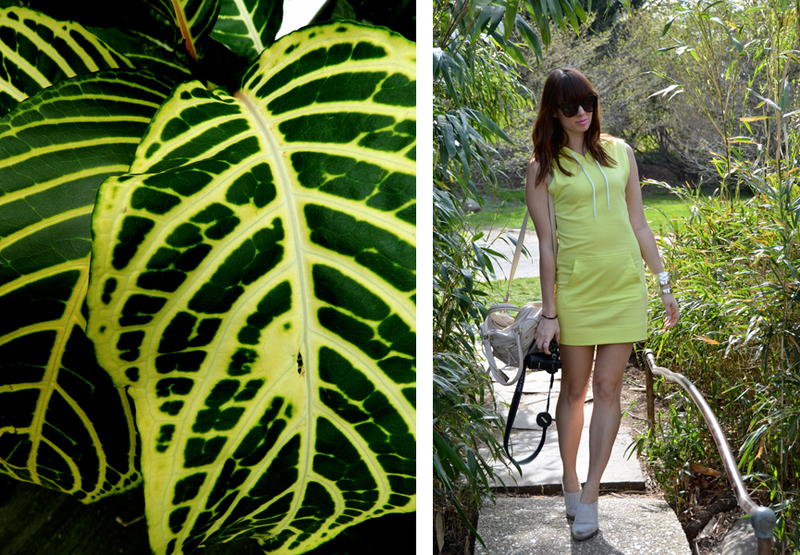 Unlike most colorblocking I feel like the pastel colorblocking trend can work for the most faint at heart. It helps that pastels are toned down and not overwhelming...like playing with brighter tones. The basic rules of colorblocking pastels are pretty simple and fun. Begin with a light tone pastel color-- like the mint green Topshop jeans-- and a darker tone-- MTWTFSS blouse-- in the same shade or family group: blues and greens, purples and pinks. Keeping it all together help keep the look unified. To keep the look toned down introduce neutral tone accessories like the Kelsi by Kelsi Dagger wedge sandals. Kick up the look and mix in a another pastel accessory like the R&Em bag. Last week I tried out the look and paired up my H&M blue pants with my light mint green American Apparel top that I had bought at their Warehouse Sale. I mixed in neutrals with my H&M blazer top and Jeffrey Campbell wedge sandals. I pulled in another shade of pastel by using my R&Em bag. I have a feeling there will be a lot of pastel colorblocking in my near feature. What do you think of this look? Will you give it a try?